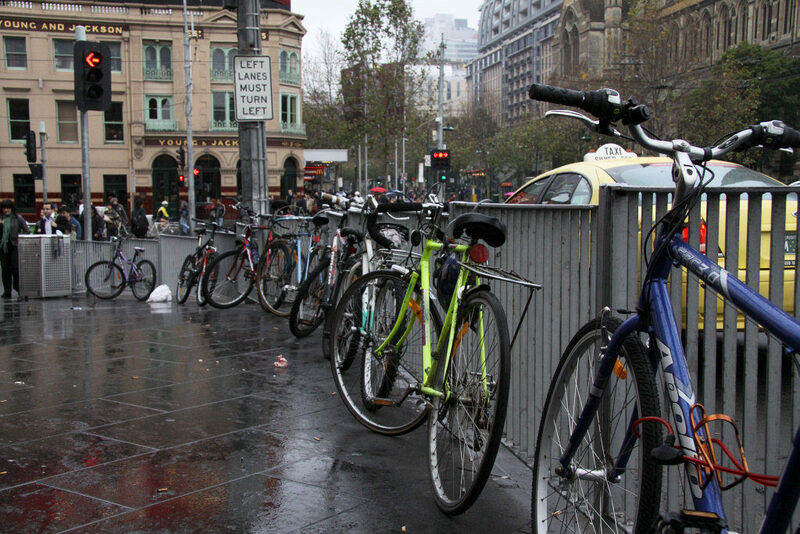 On ya bike to Flinders Street Station? Welcome to Melbourne Central station, where on Wednesday night the first of Ted Baillieu’s Protective Services Officers started duty, protecting passengers from the hoards of evildoers who descend on the station after 6 PM. 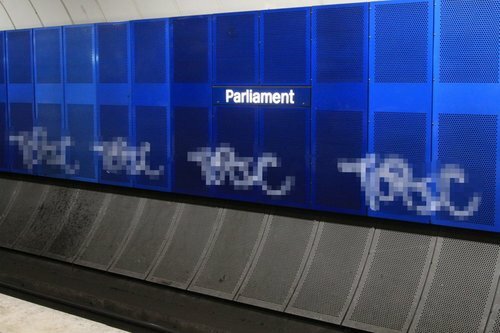 Meanwhile at the next station over, some vandals managed to make their way into Parliament station after the last train, and spray paint the walls with graffiti. So how the hell did they get in there? 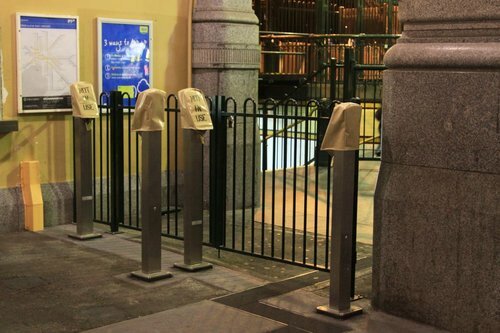 Overflow gates for Myki: a half arsed solution? If you visit this blog regularly, my previous posts about Melbourne’s half arsed Myki rollout leading to congested stations should be familiar to you. Back in March I wrote about troubles at the City Loop ticket barriers, and in April I detailed the rollout of the long term capacity fix for suburban stations. Today I follow a similar theme – the short term fix being applied to City Loop stations to address the growing Myki queues each morning. Just a quick post for today: the question being one which has been doing the rounds among the more technically inclined when discussing Melbourne’s partially commissioned Myki ticketing system – ‘what version of Windows is it running on top of?’ Thankfully for us who are always looking for answers, this IP address conflict dialog displayed on a Fare Payment Device (aka Myki ‘reader’) spells it out clearly – Windows CE.